ANYWAY, I was online looking for customer complaints. Because, you know, manufacturer’s blame EVERYTHING on us stupid customers. 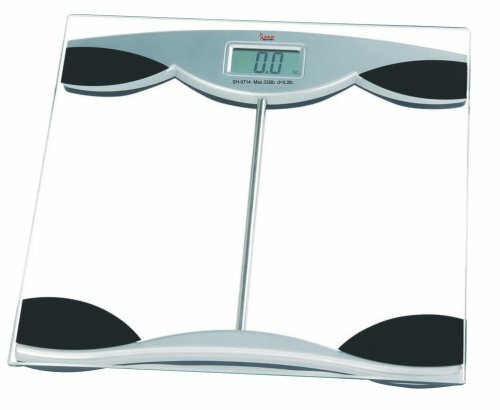 Nowhere in the description did I see this [bathroom] scale displays only in kilograms. The description says maximum capacity 330lbs. That certainly would lead most to believe it displays in pounds. I don’t want to do mathematical problems when I step on my scale in the morning. Although, this may be good for my brain, that wasn’t the reason for my purchase. I will be returning it. Oh, Snap! It warms my heart to see reality, truth and sarcasm (along with the product itself) flung back at idiot manufacturers. I recently joined the Visual Analytics group on LinkedIn as I drag my many ad-hoc and homemade visualization techniques into the 21st century. Representing data without bias, but with clarity and with usefulness is hard. Years ago, one of my favorite data mining profs intoned, “If tortured enough, the data will confess.” - Lyle Unger, UPENN. Whether good or bad depends purely on intent. What the heck does this picture mean?!? It’s got some red stuff on it, should I be worried? How Could They Have Missed This Software Bug? Ouch. I bet there was a whole lotta screaming going on, starting with great enthusiasm and then ending badly. The machine was a progressive, meaning that the payout is based on previous bets and other similar machines. In order to win the Big Payout, the player must bet the max, which in this case was $4. The player had bet only the minimum, $0.40. That’s a heck of a big mistake. Seems like an extra (missing?) if() statement would’ve caught that one. A couple weeks ago, we debugged a temperature sign displaying 119 °F degrees in the dead of winter. Turned out to be a variable out-of-bounds problem. Above is another whacko temperature bug from Fail Blog. I started mucking with this bug using the same logic. Since the correct value is probably around 23°F, and since 222°F + 23°F looks dangerously close to 255, the magic roll-over (or roll-under) point of despair and destruction looks to be a prime suspect. Flipping it around, 255°F - 222°F = 33°F, which is dangerously close to the freezing point of water (32°F). And … 32°F is 0°C, which is another dangerous roll-under point for unsigned chars. Finally, both the beyond-boiling temperature AND the “Alerts” box in the upper left corner are RED. While the number of Alerts is zero, somewhere the software knows evilness has occurred. This time you figure it out - what’s the exact cause of failure? Let’s Debug it: Snow That’s Hot to the Touch! A friend posted this FailBlog pic on Facebook and (as always) I had to figure out how the embedded system screwed up. Snow. Real snow. Bare branches, no movie set. And a sweltering 119 degrees! Fahrenheit? Not with the snow. Can’t be Celsius or the snow would be boiling. And well, it does appear icy cold, but if that’s Kelvin then this town is more than 200 degrees below 0°F. What happens when you create a new user profile on a website and then it magically adds your picture to the profile? Do the servers trade stories after work over SMS martinis? Compare notes and plot random “Your Registration Has Expired” warnings to evil users? I have a couple blogs with an elusive entity called “Wordpress.” I found out the hard way that massive social networking servers are as temperamental as Paris Hilton looking for a new BFF. Apparently, according to Wordpress, I am 3 different people, but really only 2½, 2 of whom share the same face. Who had to be introduced to one another through a server matchmaker. When I didn’t duck my head low enough this morning, the people-eating mangroves ripped off my hat and some hair, snagged my Jet Ski’s tow line and skidded me into the jail-like root system. Then the engine wouldn’t start. Gah gah gah gah. And I was WAY to far into the twisted passages for my husband to reach me by boat. Gah gah gah gah. I was to get very familiar with this sound. What if everything in the world was made by Microsoft? Sure, we’ve all seen the funky error messages, both real and fake. Yeah, Smart-House 2.0 Crashed my Kitchen was amusing, but the next extrapolation can be downright scary. “Can of Peas - Professional” or “Can of Peas - Home Edition”? Cracked.com ran a contest. Enjoy them all, and wait for the last one to finish.